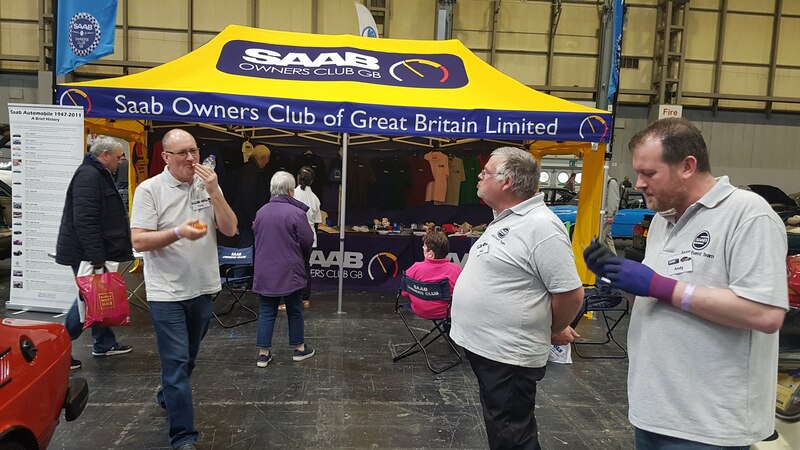 SAAB Owners Club (GB) Ltd - Did you see us at the Practical Classics 2019? 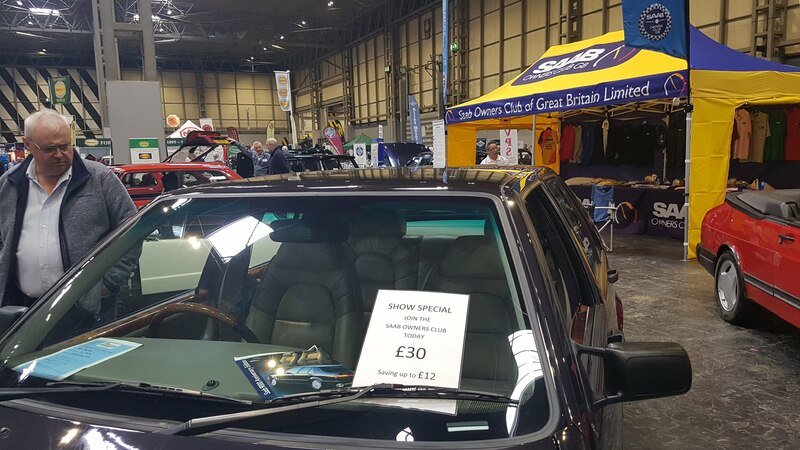 Did you see us at the Practical Classics 2019? It was a great show! 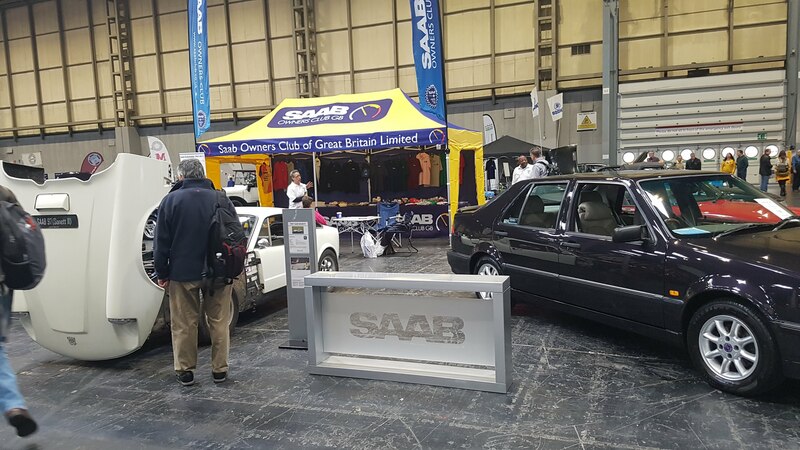 This year we had a larger stand jointly run by the Saab Owners Club and UKSaabs. Didn't win the Award but there was some stiff competition. That's almost saved you the entrance fee! 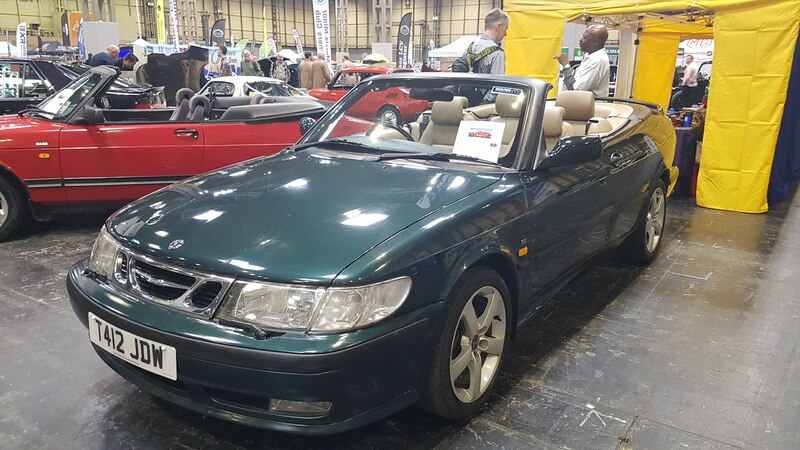 Chris's 'Barn Find' 93 (well more of a hedge find really). How many is that now Chris? Don't ask how much he paid for it. No really don't ask. Unless you've got half an hour to spare. Elli, hard at it as usual. 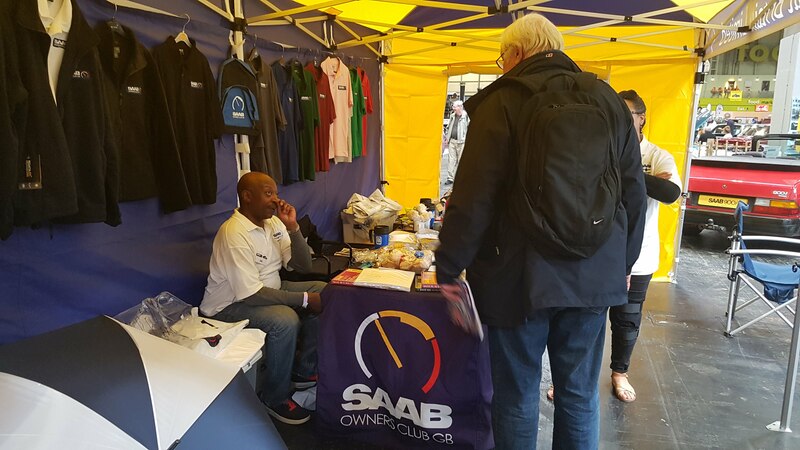 Many new members to the Club ask the same question - “Who is Erik Carlsson?” I suppose a lot of people who were not around in the 60s have never heard of him even though this giant of a man is often referred to as “Mr SAAB”. Erik was born in 1929 in Trollhattan, Sweden, not far from the SAAB factory, but at that time the factory was only producing aircraft. 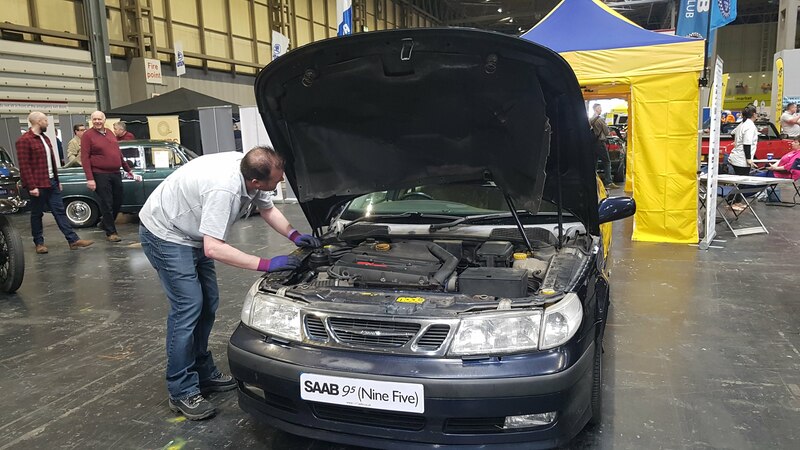 Erik was 20 when production of the first SAAB cars started. His first passion was motorbikes, he bought a Norton 500 new when he was 18 from Nystrom’s where he was working. 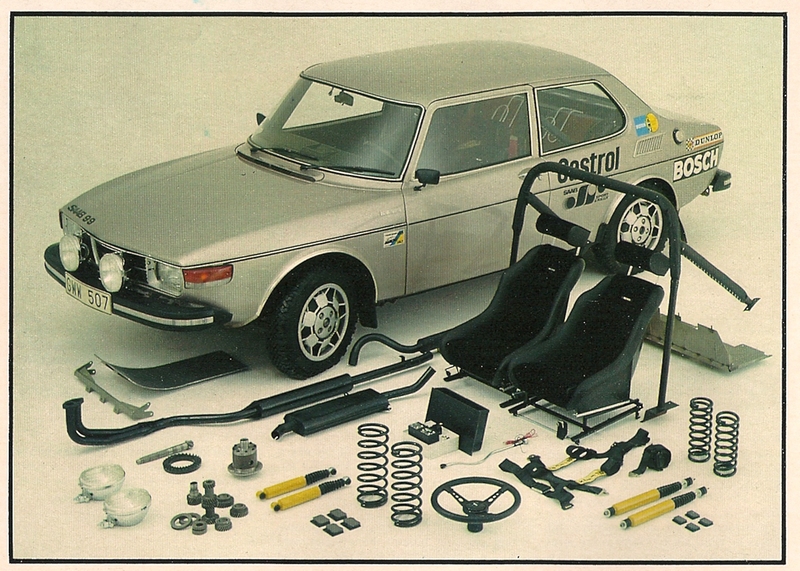 Pelle Nystrom was the Norton importer for Sweden. At weekends he took part in hillclimbs, motorcross, road racing and, during the winter, ice track racing. 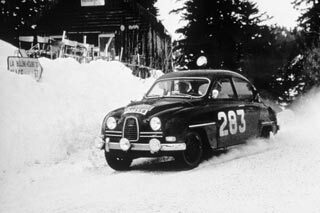 With the suspension of the Roger Albert Clark Rally the Saab Historic Rally Team has been somewhat in the doldrums, not helped by my taking a sabbatical to do the Peking to Paris Rally in June/July this year. If you would like to follow Jonathan Lodge and me on the event see www.p2pamx.com where there's already a load of material about our preparations and testing in Morocco. If the Roger Albert runs in November 2017 we'll look to get a team entry there as well. There is no formal Branch currently in operation (largely as a result of the sheer geographical spread of members across this area) and therefore no regular meetings. 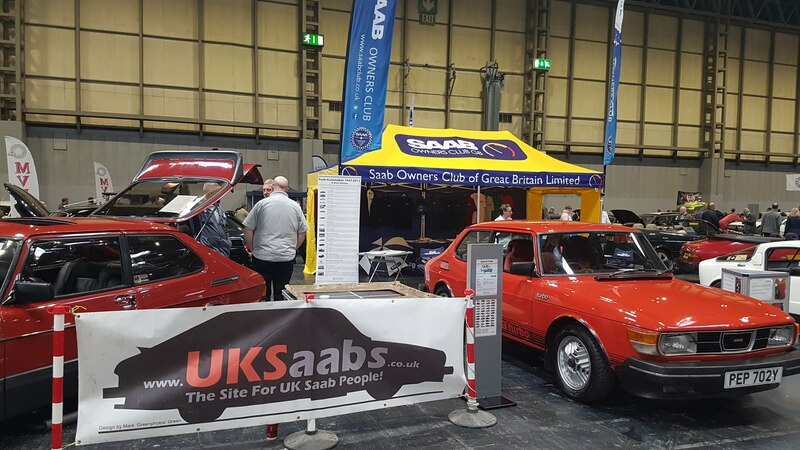 Where possible, there is usually an SOC 'presence' at gatherings across the region organised by other clubs, motor museums or advertised on web forums (principally UKSaabs). 26th Aug Fortrose & Rosemarkie Classic Vehicle Rally, Fortrose, Ross-shire. 3rd Sept Motor Mania, Grantown on Spey. Meeting dates: 2nd Sunday of the month, between 12 noon and 4 pm. Please check the SOC Event calendar, to confirm dates. Meeting location: Halfway House, on the A127, Brentwood, CM13 3LL, (Off the east bound slip Road, Brentwood and Orsett A128 turn off). Summer BBQ @ Halfway House. Sunday 14th July. 12pm - 4pm Food served @ 1pm. Charity: We proudly support the Essex & Herts Air Ambulance. NEXT MEETING: Sunday 12 May 2019 - Halfway House, A127, Brentwood. If your question is not specifically related to the club itself please give your membership number. We are unable to respond to general questions from non-members.